Songwriter/recording artist and SESAC affiliate Cledus T. Judd has signed an exclusive agreement with Warner Chappell Music Publishing/Amylase Entertainment for representation. 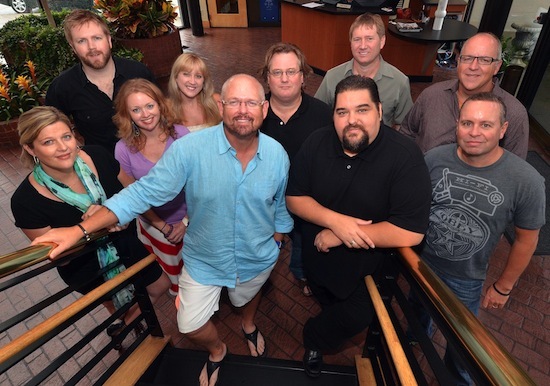 Judd, along with Warner Chappell and Amylase executives, stopped by SESAC’s Nashville headquarters recently for a visit. 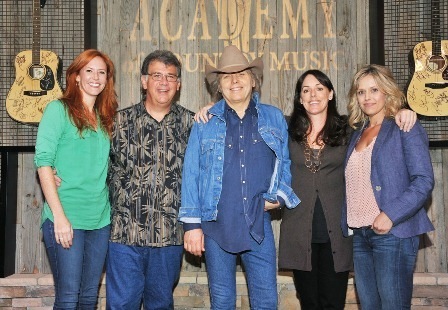 The Academy of Country Music welcomed ACM Award winner Dwight Yoakam for a visit earlier this month. While at the Academy he previewed songs from his upcoming album, 3 Pears, which will be released Sept. 18 on Warner Bros. Records. Yoakam will be honored with the Cliffie Stone Pioneer Award at the 6th Annual ACM Honors event on Sept. 24 in Nashville.